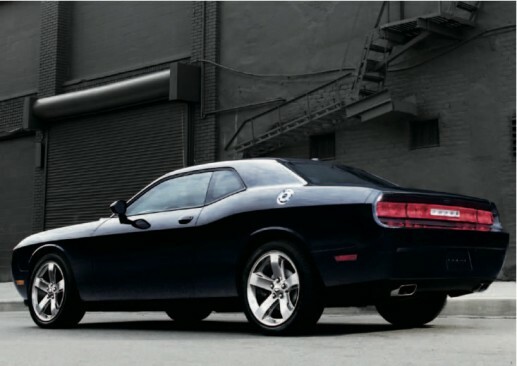 The 2011 Dodge Challenger includes updated engines and paint options to the new Dodge Challenger. 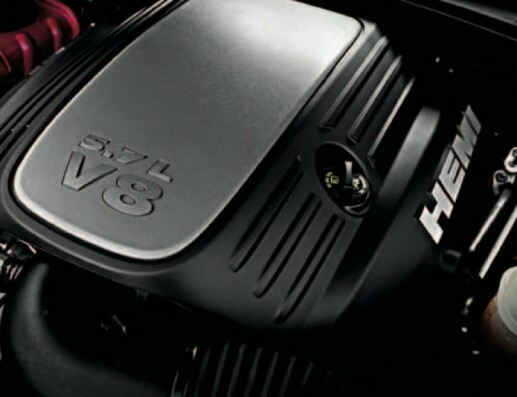 The new engine options such as the 392 Hemi and the Pentastar V6 include improved performance AND improved gas mileage! 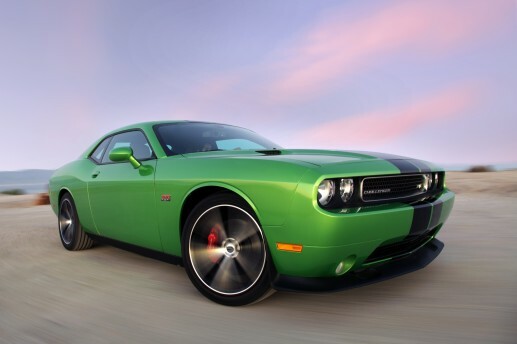 New paint options such as Green with Envy bring to mind the very popular Sublime Green paint option from the 1970 Dodge Challenger. [ads]SRT8® 392 inaugural edition: Some things are more desirable because they brilliantly balance form and function. Others are sought after because their quantities are finite. 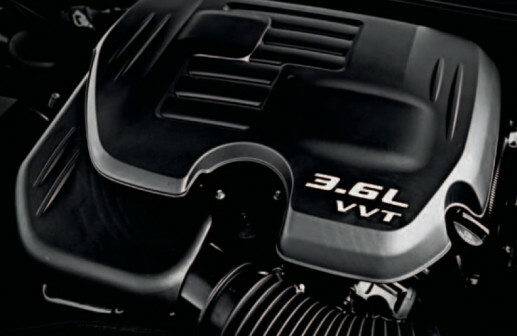 The limited Challenger SRT8 392 Inaugural Edition is coveted for both reasons. The first 1,100 2011 Dodge Challengers to roll off the assembly line will be numbered and branded with a unique exterior and interior. Exterior: Available in a choice of Bright White with dual Viper Blue tip-to-tail racing stripes or the reverse: Deep Water Blue Pearl with dual Stone White tip-to-tail racing stripes. A unique grille surround features body color accent paint while a bold “392 HEMI®” badge graces the fender. Other exclusive features include: 20-inch polished aluminum wheels with Black pockets, Mopar® quad-style exhaust tips, and special 392 Hemi engine valve covers. Interior: All 392 Inaugural Editions are highlighted by Nappa Pearl leather seating surfaces with a double Blue vertical stripe. All seats are piped and stitched in Blue and feature the “392” logo for an even more dramatic look. Other unique features include: Pearl inserts on the door-trim panels; Silver Metal Brush grab handles; Silver Metal Brush center stack and console bezels; Blue accent stitching on armrest, steering wheel, ATX knob or MTX boot; serialized dash plaque; quarter-glass decal with Mopar logo; and key fob with “392” logo. 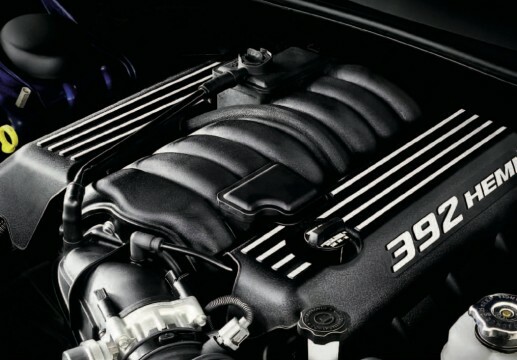 ALL-NEW 392-CUBIC-INCH SRT8® HEMI® V8. It pushes back and powers ahead with an impressive 470 horsepower and 470 lb-ft of torque. This power is linked to a high-performance suspension with rear stabilizer bar, performance-tuned steering, antilock 4-wheel disc performance brakes, 245/45ZR 20-inch performance tires, and a choice of 5-speed AutoStick or Tremec ® 6-speed short-throw manual transmissions. In short, this gets it done. Here is a breakdown of the engine and transmission options available to the 2011 Dodge Challenger. These include the: 392 Hemi V8, 5.7 Hemi V8, and the Pentastar V6. The standard 6-speed manual transmission boasts 379 horsepower and a whopping 410 lb-ft of torque, while the available 5-speed AutoStick delivers 372 horsepower and 400 lb-ft of torque. This entry was posted in Challenger, Dodge. Bookmark the permalink. certainly just like your internet site however, you should check the transliteration in numerous of the discussions. Some are usually rife along with transliteration challenges and i also still find it pretty problematic to tell the fact but I most certainly will certainly occur once more just as before.